Kochi: Who can forget the thriller ‘Kannoor Deluxe’ casting yesteryear actors Prem Nazir and Sheela in lead roles? Most scenes of the film were shot inside the KSRTC bus ‘Kannur Deluxe,’ a service started back in 1967 which is still the prestigious service of the corporation. Mr P.X. Antony, a retired KSRTC employee who had worked as a conductor of the Trivandrum-Kannur service back n 1980, recalls that the bus was the only one with push-back seats in the state then. “It’s is the only deluxe service started decades back and still in operation. In those days, the service was much popular and the passengers had to book the tickets much in advance to get seats. Often the travellers turned out to be VIPs like MLAs and high government officials,” Mr Antony who retired last year as assistant transport officer recalled. Apart from the facilities, the hallmark of the service was punctuality. “The commuters were sure of the bus sticking to its schedule. The timing in Ernakulam was 10.28 p.m. Unlike today, there was a crew change in Thrissur. The management had then taken special care to give sufficient rest to the crew,” he said. The bus had 32 seats with each station having a reservation quota of two seats. ”The service topped the collections in the corporation for a long time,” he said. The current management points out that the service has not lost its sheen and is still among the top revenue earning ones. 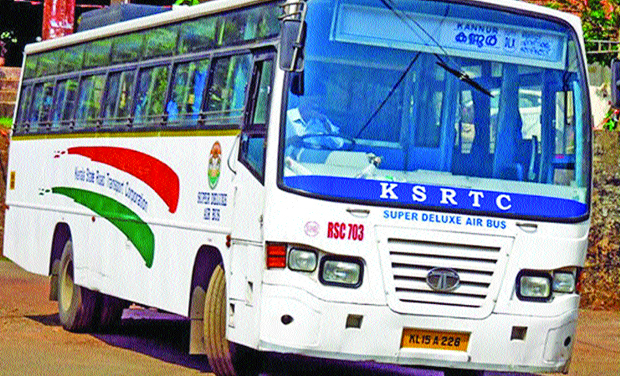 “The Kannur super deluxe is still one of the prestigious services. It starts from Thiruvananthapuram every day at 7 p.m. and reaches the destination the next morning,” said Mr P.M. Sharaf Mohammed, executive director (operations).